Even small changes made after work begins can have surprising effects on the budget. Here’s why. Minimizing change orders is one of the most effective things homeowners can do to control costs. The reason is that seemingly small changes can have cost impacts beyond the builder’s control—costs that ultimately are borne by the customer. We’re not talking about unscrupulous contractors who write vague specifications to create low bids and then nickel-and-dime clients with change orders to increase profits. We mean honest builders who write detailed specs and manage their jobs in a professional manner. It’s not unusual for customers of these builders to decide, after construction has started, that they want something different in part of the house. Once specifications are approved and the project is underway purchase orders are generated and sent to all subcontractors and suppliers, setting firm prices for every part of the job. Any change that happens after that point will likely add cost. How much cost? That depends not only on what is being changed, but also when. A common example is the clients who, after seeing the opening over the kitchen sink, decide they really want a bigger window. That decision will cost a lot less if they make it early, say before the exterior walls are built. Once the window is in the opening and the insulation, drywall, and sink cabinet are installed, the change is more costly. For example, suppose the homeowners decide they want a pedestal sink in the powder room, rather than the small vanity they had originally chosen. The builder’s staff has to cancel the order for the vanity and possibly for a granite top. If those items have already shipped, the supplier will likely charge a restocking fee. The pedestal must be ordered from the plumbing supplier, taking additional time. If the hot and cold water pipes are already in place, the plumber may have to move them, and the plumbing inspector has to inspect the change. If the wall has already been finished, the drywaller must be called back. This minor change may throw everyone’s schedule off by a week or more. Every change also requires time from the builder’s staff—time to complete and track orders, to reschedule workers and subcontractors, and to update the budget. That’s why change orders include an administrative fee. This explanation is not given to discourage important changes. Clients are entitled to make their home their own, and most clients decide to make at least some changes during construction. But they should do it with a clear understanding of the costs those decisions will bring when they are made after the specs have been written and the contract signed. It’s a reminder that making as many firm selections as possible up front is in the customer’s best interest. 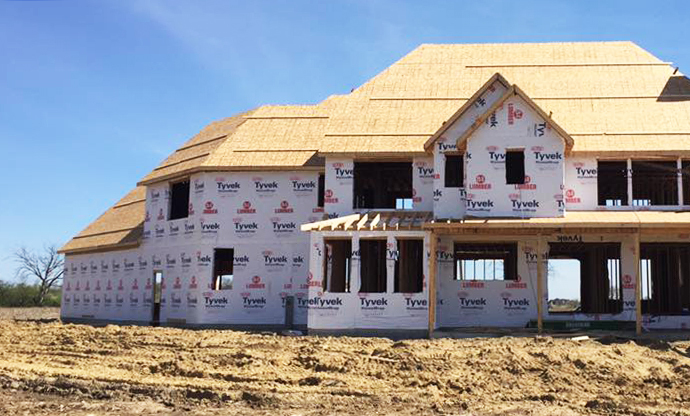 If you are ready to get started on building your home and have questions about our process, we invite you to contact us today at http://www.cldesignbuild.com/contact/ or 630.882.8822 to arrange a free consultation! Warm regards from all of us at CL Design-Build!